Remember when you first learned to drive? You were likely hyper-vigilant because it was all so new. You didn’t want to make mistakes. It’s also likely that somewhere along the line, you stopped paying as much attention. Driving became routine. But experience and the passage of time don’t make driving any less risky. That’s why it’s so dangerous to let distractions chip away at your driving time. 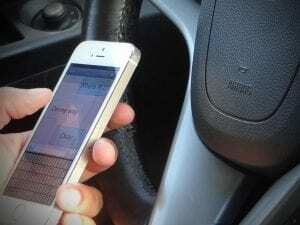 Texting takes center stage as one of the riskiest driving distractions. And with good reason – statistics show if you text while you drive, your eyes are off the road an average of five seconds. A lot can happen in five seconds, especially when you operate a 4,000 lb. machine at high speeds. People deal with distractions differently, so it’s important to know your own limits. While some people can reach over to grab a sip of coffee without missing a beat, others might be better off to save the coffee for when the ride is over. It’s far safer to delay your arrival a moment or two than to drive while distracted.